As we age, we realize how much our life experiences and personal history influence our developed sense of style, taste, and cultural awareness. 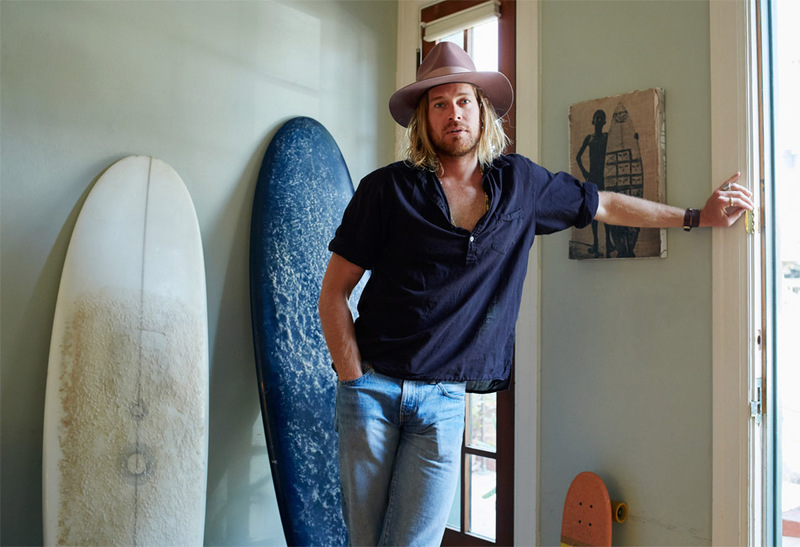 For Nick Fouquet, it is exactly what shaped his creative outlook and inspired him to launch his own, incredibly successful eponymous brand, Nick Fouquet. Growing up in New York and France, Nick was part of a very multi-cultural upbringing, with travel being an important part of his youth. As the only boy in a family of 6 siblings, a father who is French and a mother who is American, Nick has lived in and experienced many different environments. From attending an all-boys boarding school to escaping to Patagonia on his mother’s credit card, each of his adventures have made for an enviably unique life story. 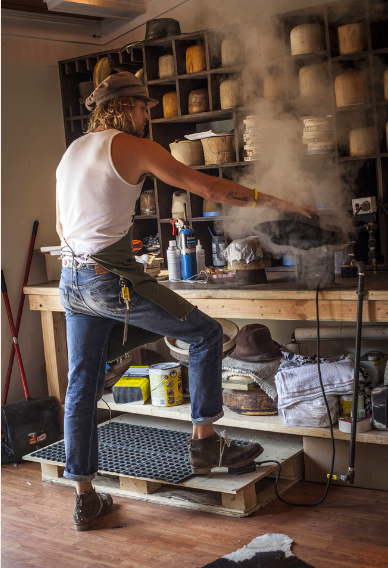 Fast-forward to today, you’ll find Nick in Venice, CA surfing (in true Tidalist form) and constantly creating new designs and concepts for his millinery. From continuing to grow his own namesake brand to successful collaborations with everyone form Borsalino to George Esquivel and Eric Buterbaugh, we absolutely cannot wait to witness more success that is headed his way. Keep reading below to find out what makes Nick truly tick and how he became modern-day’s coolest version of the Mad Hatter. I am 1/2 American and 1/2 French. I was born in NYC and grew up in the southwest of France in a small town called Royan. I traveled a lot as a kid and then later in life. I graduated with a BA in Environmental Science and Sustainable Development from Rollins College in Florida. You’ve lived in many places throughout your life —France, Palm Beach, Colorado, New York — how have these places influenced your aesthetic? Fully! I attribute all these places to informing me with my creative aesthetic, whether subconscious or not, it molded my vision. What was boarding school like? Any big influences on you personally and professionally? I look back at boarding school in disdain. I got kicked out of my first one and that was traumatic, then got sent to an all-boys school in Connecticut and that was unpleasant. You were either a jock or a nerd, and I was neither. I felt super isolated. I look back though and see it is where I needed to be at the time, things on the home front were in turmoil and I was finding my path. It definitely gave me independence. What’s the process that goes into creating each hat style? Is there a particular hobby or place that inspires you the most? Are there other brands or designers you admire? Who and why? There are a lot – The Elder Statesman, Patagonia, Hermes, Greg Lauren, Ralph Lauren, Kapital… they all have a story and strong point of view. Each brand has such a clear vision of who and what they are, I love that authenticity. If you weren’t a designer, what else could you see yourself pursuing full-time? Be sure to read his style story HERE!